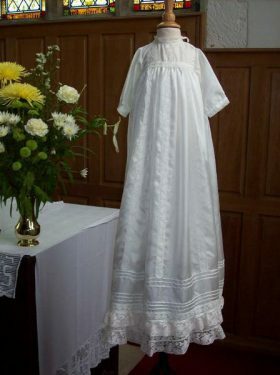 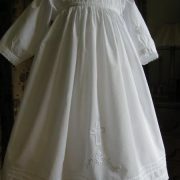 This little Edwardian dress is gorgeous and will make any little girl a princess on her baptism day. 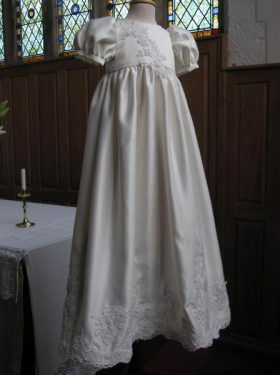 Based on an original Edwardian pattern this dress has everything to make a it an heirloom to treasure.... Edwardian styling, embroidered front panel, embroidered sleeve detail, pintucks, lace trim. 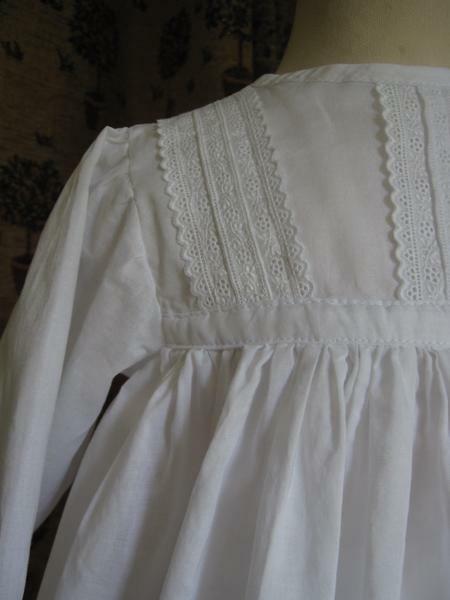 The high necked yoke is decorated with lovely English cotton lace. 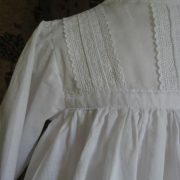 The long sleeves are also trimmed with cotton lace and are gently gathered into the yoke. 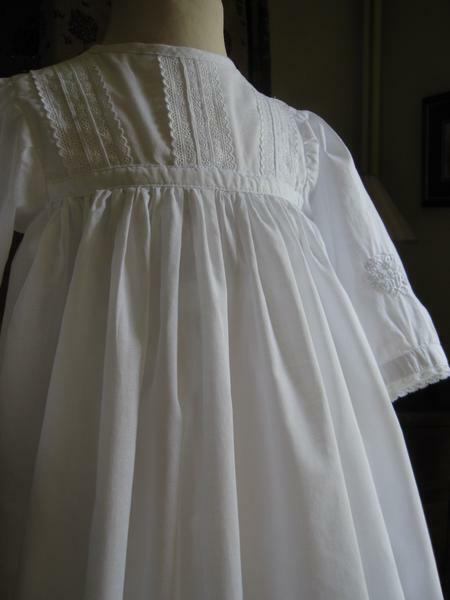 The skirt is fullsome and trimmed with narrow pintucks. 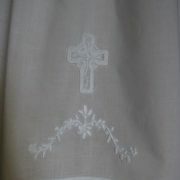 Central to the design is the delicate hand embroidery on the front of the skirt. 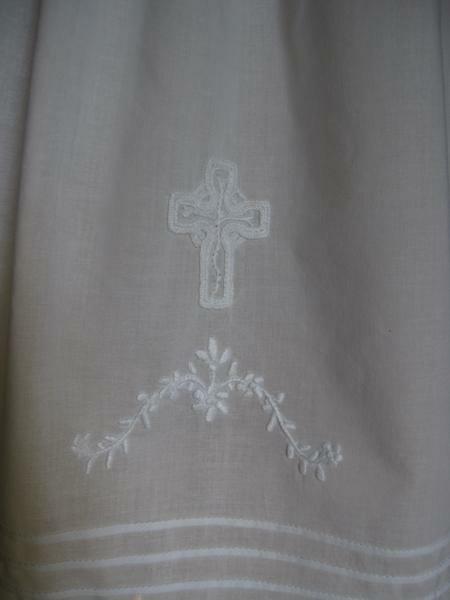 Based on an Edwardian embroidery pattern, daisies and leaves intertwine and a beautiful Celtic cross finishes the design perfectly. 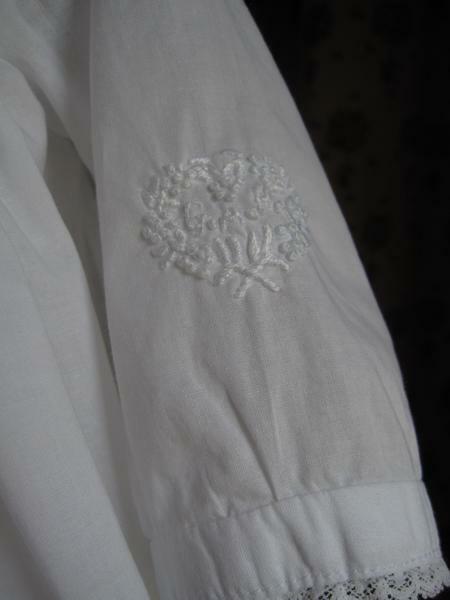 The sleeve also has a beautiful touch, the initials of the baby are delicately embroidered into a small flowered heart. 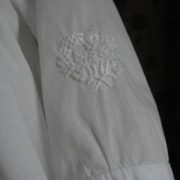 Finally the skirt is trimmed with lovely broderie anglais lace. 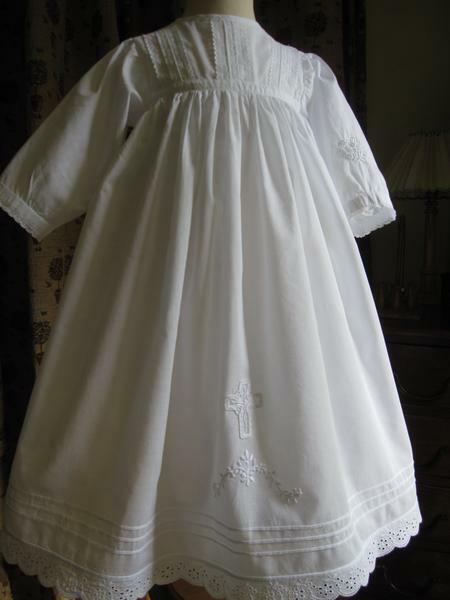 Perfectly created for your baptism day. 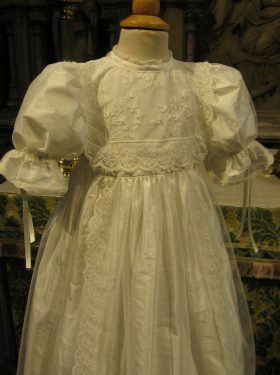 The Georgiana Christening dress has been created from 100% pure cotton lawn and it may be advisable to wear a petticoat underneath. 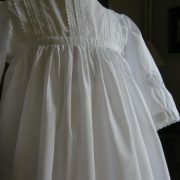 See the accessory page for further details of our petticoats. 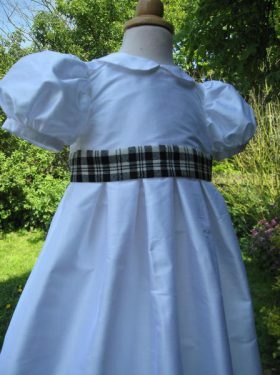 Bonnets, bibs and booties can also be made to compliment the Georgiana Edwardian Dress.